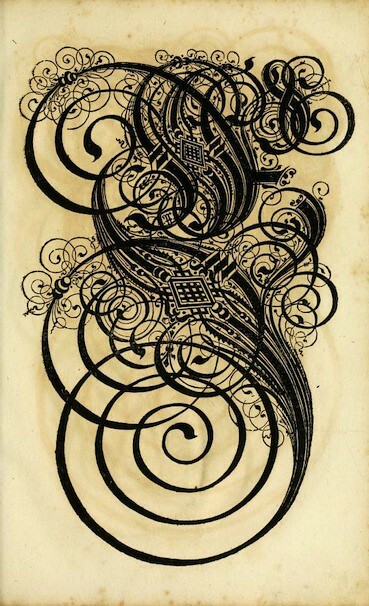 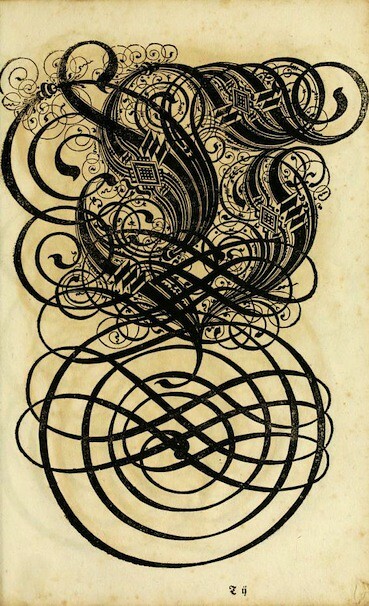 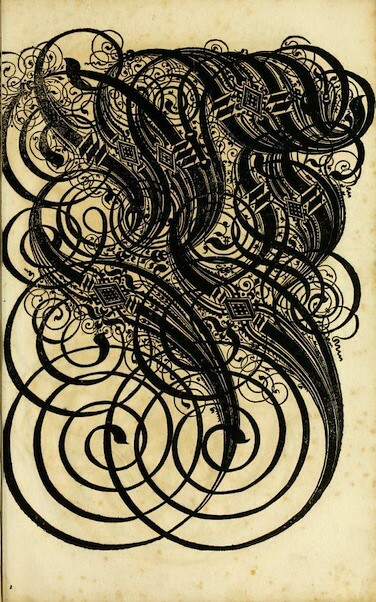 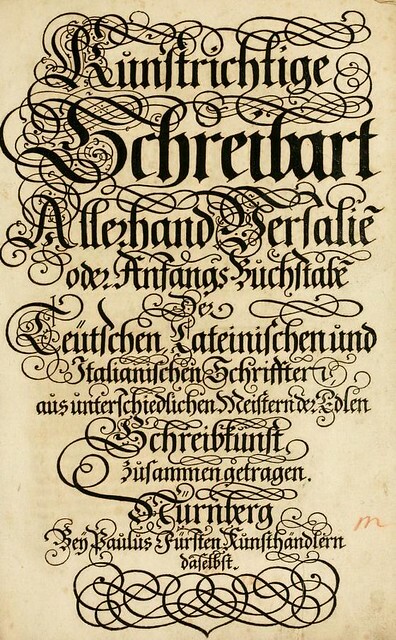 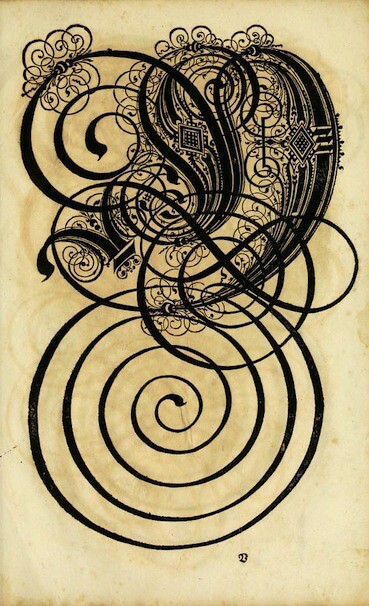 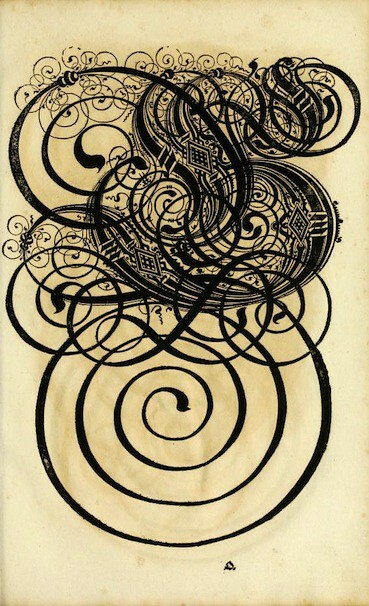 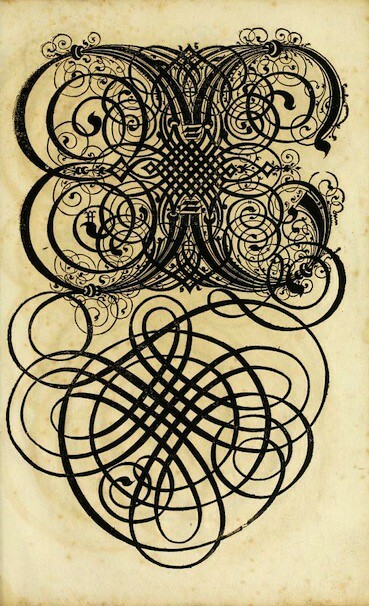 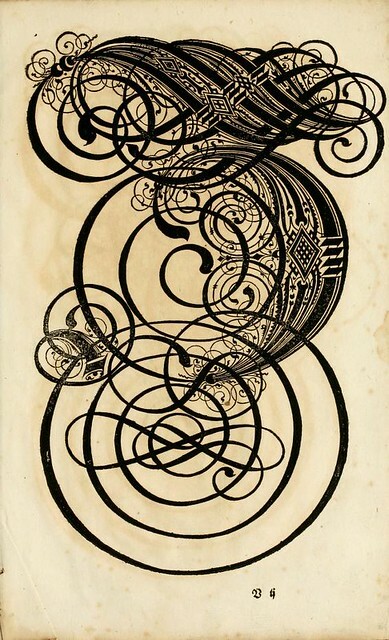 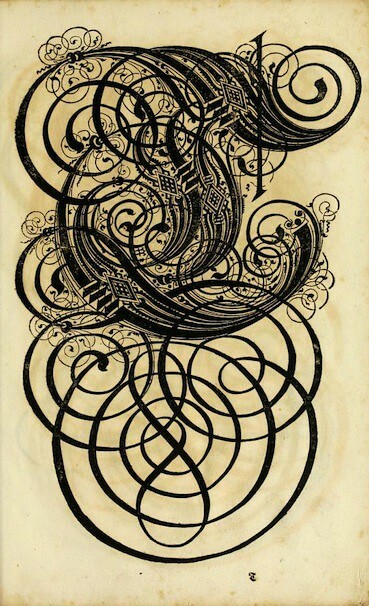 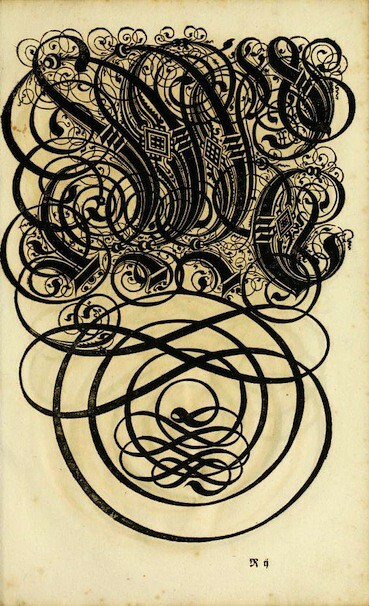 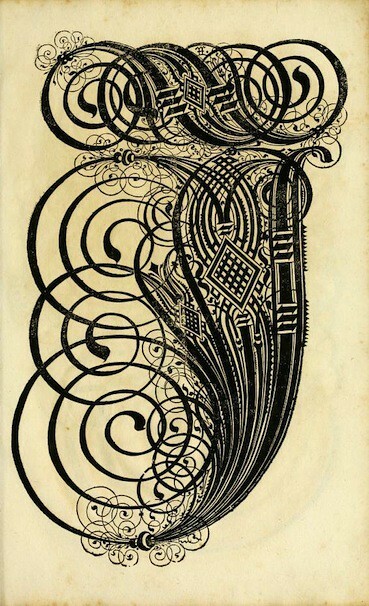 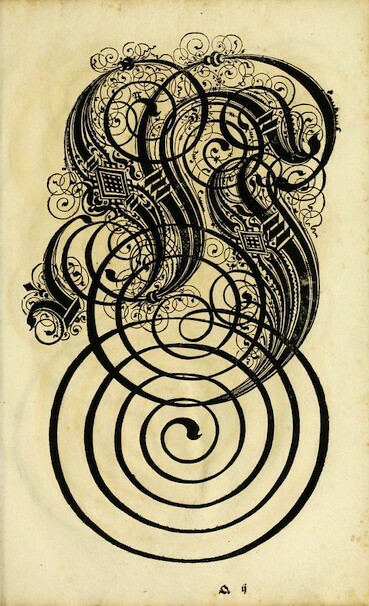 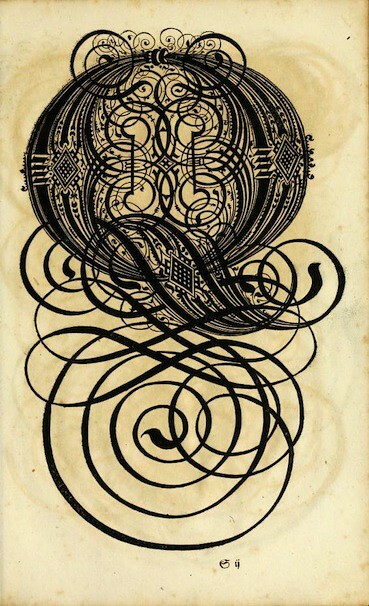 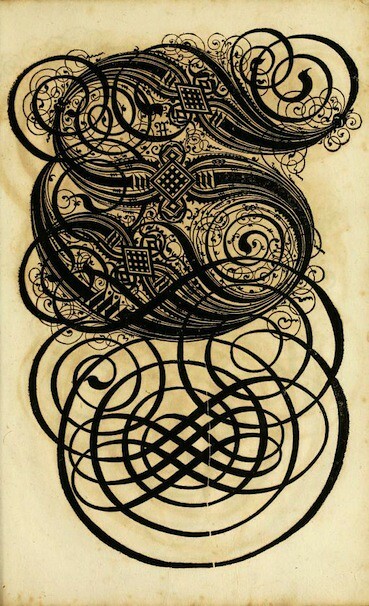 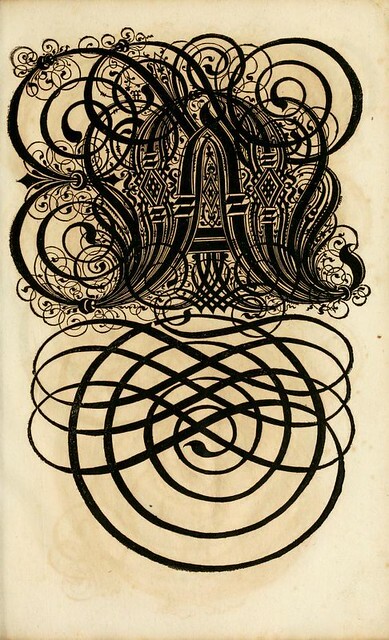 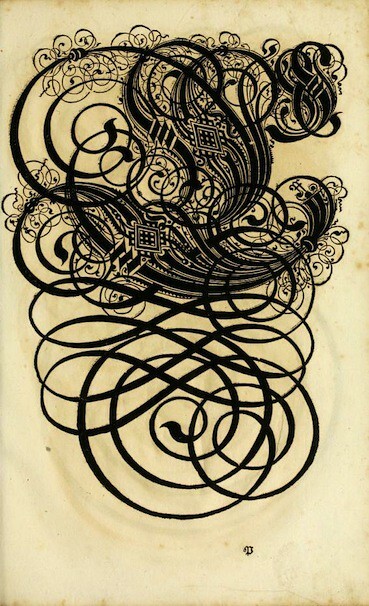 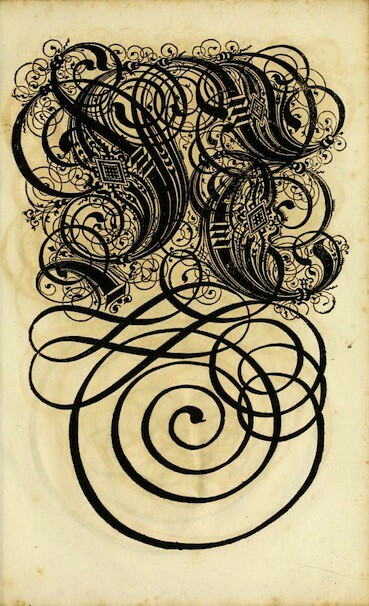 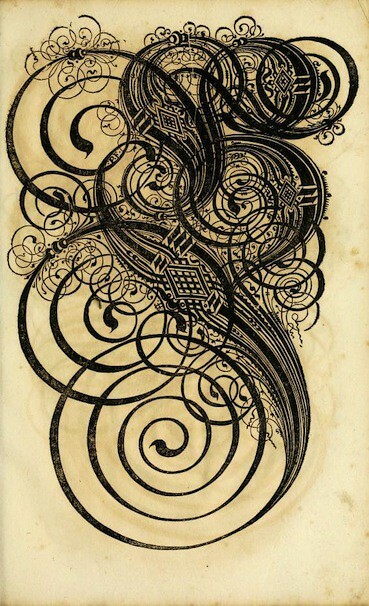 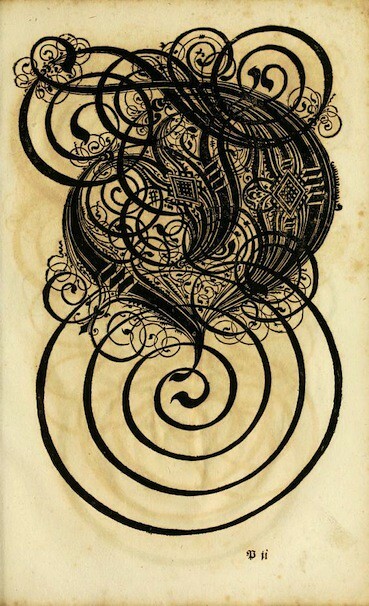 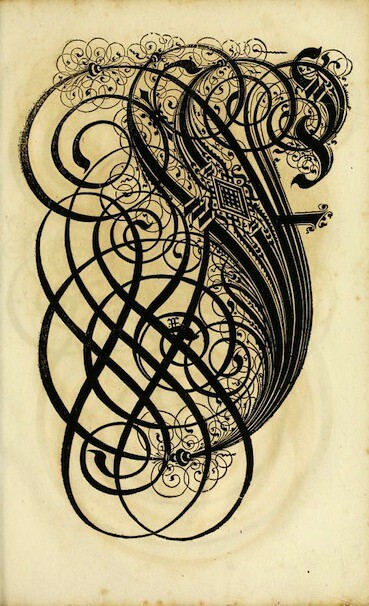 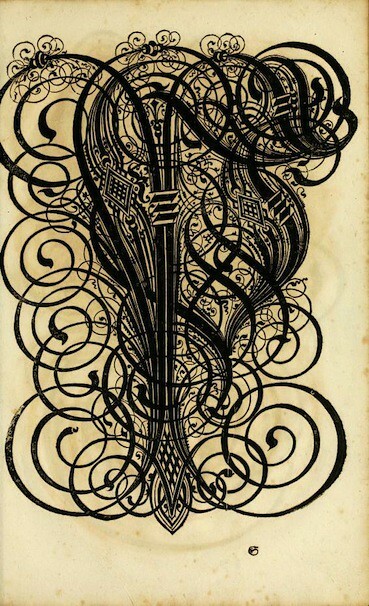 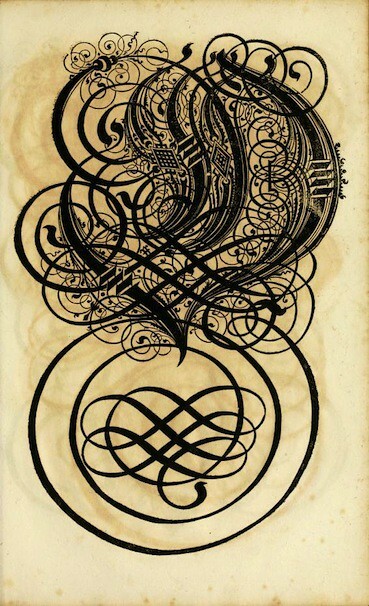 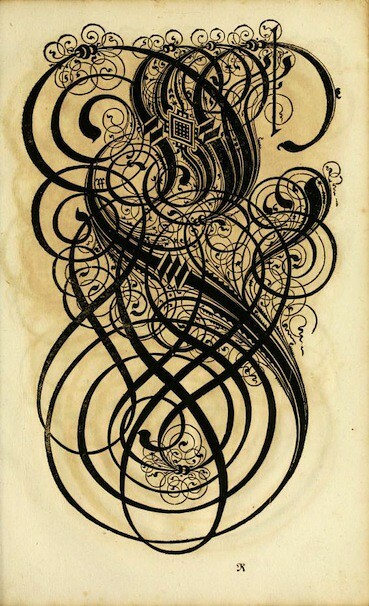 Select full page spreads from a 17th century German book on calligraphy entitled The Proper Art of Writing: a compilation of all sorts of capital or initial letters of German, Latin and Italian fonts from different masters of the noble art of writing. 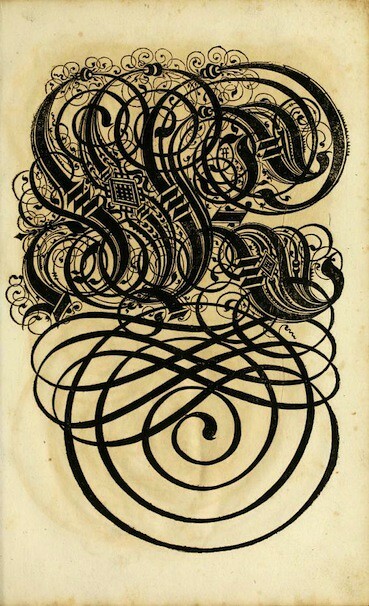 Although some can be recognisable as letters, it seems that a penchant for elaborate decoration has made most of them wonderfully illegible. 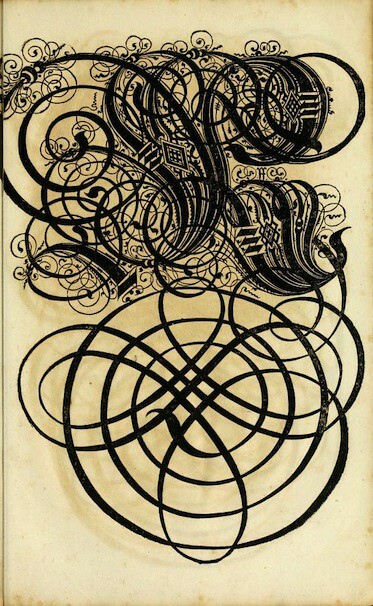 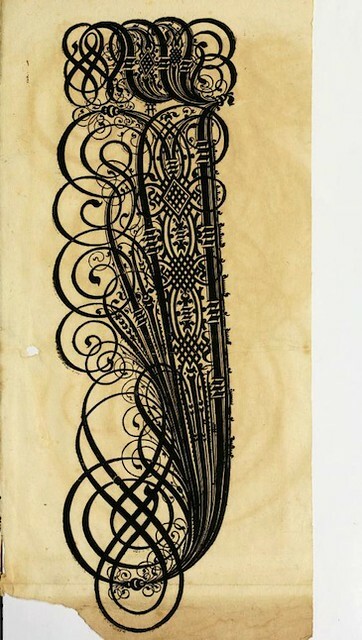 See more images in the whole book housed in our post in our Texts collection.